Helical reinforcement bars for masonry crack stitch repairs in brick & stone walls. 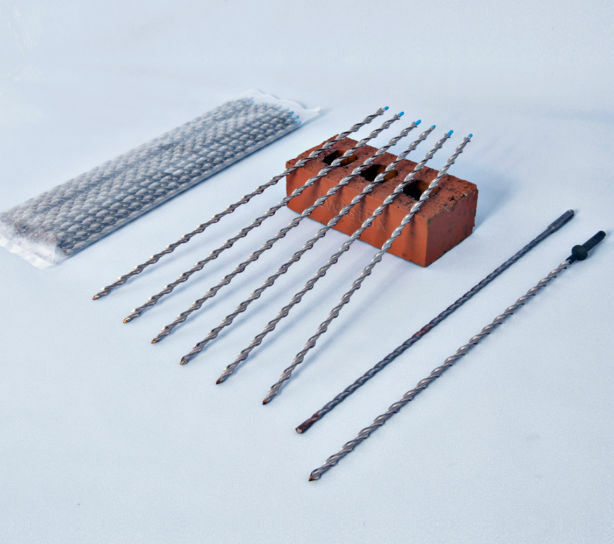 These patented Heavy duty helical reinforcement bars offer superior performance to other helibar type crack stitch products to significantly increase the shear, tensile and flexural strength of cracked masonry walls. 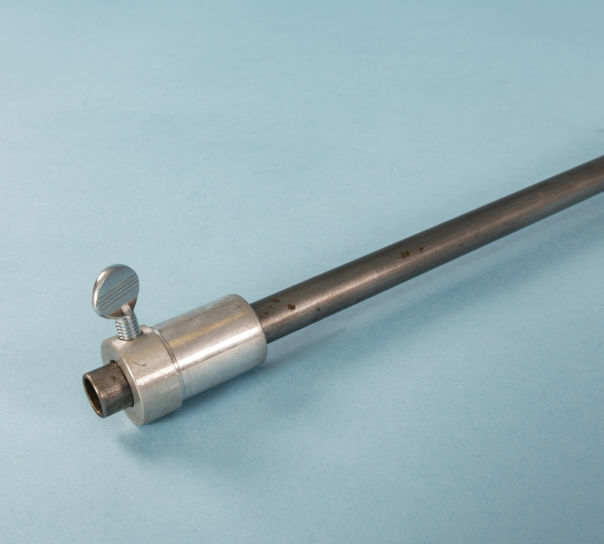 The 8mm heavy duty helical re-bars have a tensile strength greater than 12kN, whilst the 9mm diameter HD-Plus masonry reinforcement has more than 15kN. 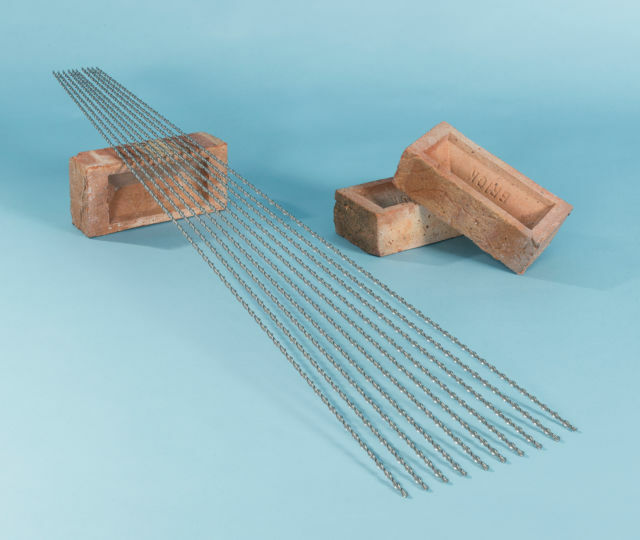 Pack of 10 masonry crack reinforcement bars is available in 1, 1.5 or 2m lengths. Placed order then decided it was wrong, one phone call and very pleasant people changed the order, no problem, (this was mid-afternoon), email informed me of delivery, timed to the hour, and the goods were with me within 24 hours. Superb sevice, could not wish for better. New to computer ordering and somehow managed to double click my order, Sent a query Sunday night and problem was resolved by 0830 Monday morning. Have used the Twist fix products to good effect. Will be back for technical support on best product for rising damp.